The ViewSonic PJD6243 is a 5.7 lb. portable projector with a bright 3,200-lumen rating that is appropriate for classrooms and conference rooms alike. Street price is about $650, and while many other XGA projectors are priced lower, none can match the PJD6243's networking, video, and audio performance. The rear panel has connections for virtually any source found in classrooms or conference rooms, including HDMI. You can have two computers and three video sources connected simultaneously with two methods of switching between them. There are a couple of limitations you need to be aware of, but all in all, ViewSonic's PJD6243 is a lot of projector for a modest cost. 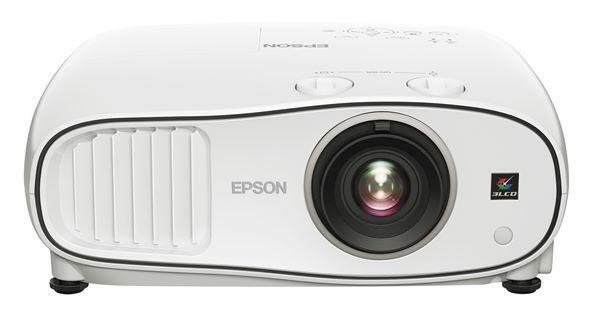 Many classroom projectors do a good job with data images but fall short on video performance. The PJD6243 is not one of them. The Movie preset is spot on, but if you feel the need to tweak the picture settings, the User modes provide all the adjustment range you will need. In fact, you can adjust all six projection colors (R, B, G, C, M, Y) if you are willing to devote the time to get the picture perfect. One test of a projector's optical design is to view small fonts with full keystone correction. This is an especially tough test for the PJD 6243 because its keystone correction range is ±40°. The result was satisfying as even 8-point fonts were still readable at full vertical keystone correction. Data images were excellent with plenty of saturation and flawless edge-to-edge sharpness. Video images were color balanced and had plenty of pop. Shadows and highlights were well rendered given the contrast rating of 3,000:1. Flesh tones are always a tough test, but the PJD6243's Movie preset mode nailed them with no image adjustment needed. If you like to adjust the image for your particular taste, you have all the tools necessary in the User mode sections of the Picture menu. In fact, you can even adjust all picture settings for HDMI material, an uncommon feature in projectors of this class. It is a treat to be able to connect a PC and a Mac simultaneously with HDMI video and a network. Not many inexpensive projectors can do that, but the PJD6243 is up to the task. It is also a pleasure to be able to crank up the volume to the point that it fills a medium sized room with clear, crisp sound. Its XGA resolution may not be theater quality, but given its picture quality and its robust 5-watt speaker, the PJD6243 may make you forget you are in a classroom. If they made this pj with a 16:9 or 16:10 aspect ratio, would it not also be a perfect living room / games & movies projector?